Toys "R" Us has reduced prices and marked a number of toys as clearance in the catch-all collector-oriented aisle. 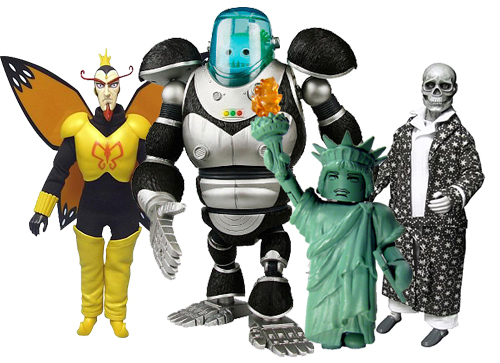 Megamind, like most movie properties, was destined for eventual clearance and we know that Toys "R" Us will be carrying the Real Ghostbusters Minimates later this year, but the future is suddenly uncertain for subsequent series of Venture Bros and Twilight Zone toys at retail. Luckily for fans of those lines, Entertainment Earth is accepting pre-orders for series 2 of both Venture Bros and Twilight Zone, scheduled for a July release.